When it starts to get cold outside and you are forced to recognize the existence of pants, what more can you want for dinner than warm, soupy comfort food? It makes that moment when you get to take off your pants at the end of the day to change into comfy clothes with enough give room for a food baby that much more satisfying. 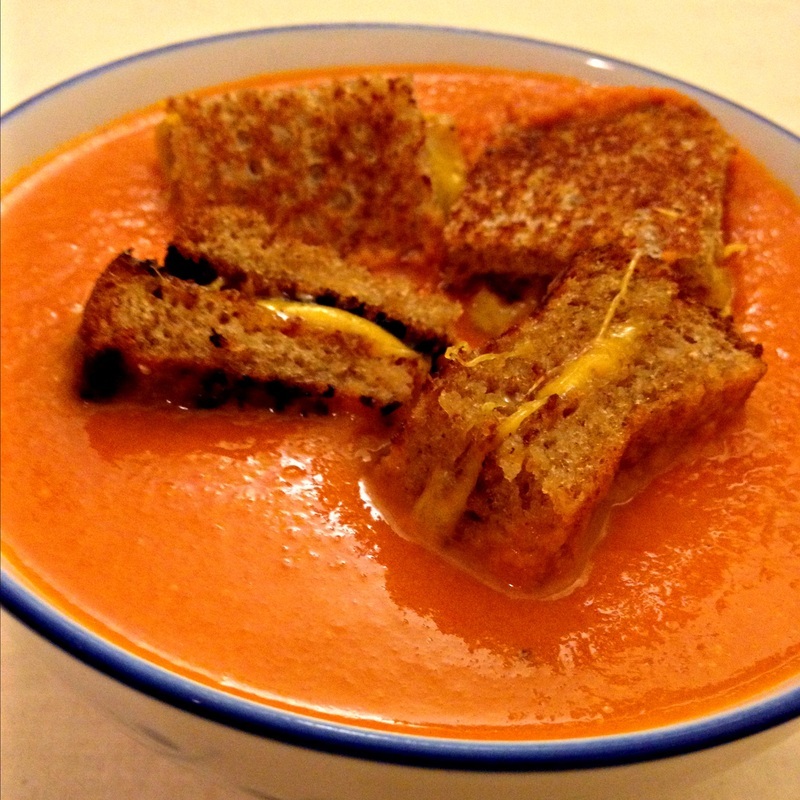 Tonight’s recipe combines two delicious classics: Tomato soup and a grilled cheese sandwich. Perfection. 1) Heat olive oil in a stockpot or dutch oven over medium heat. 2) Add onion, garlic & red pepper flakes and cook, stirring frequently, until the onion is translucent which will happen in 3 – 5 minutes. 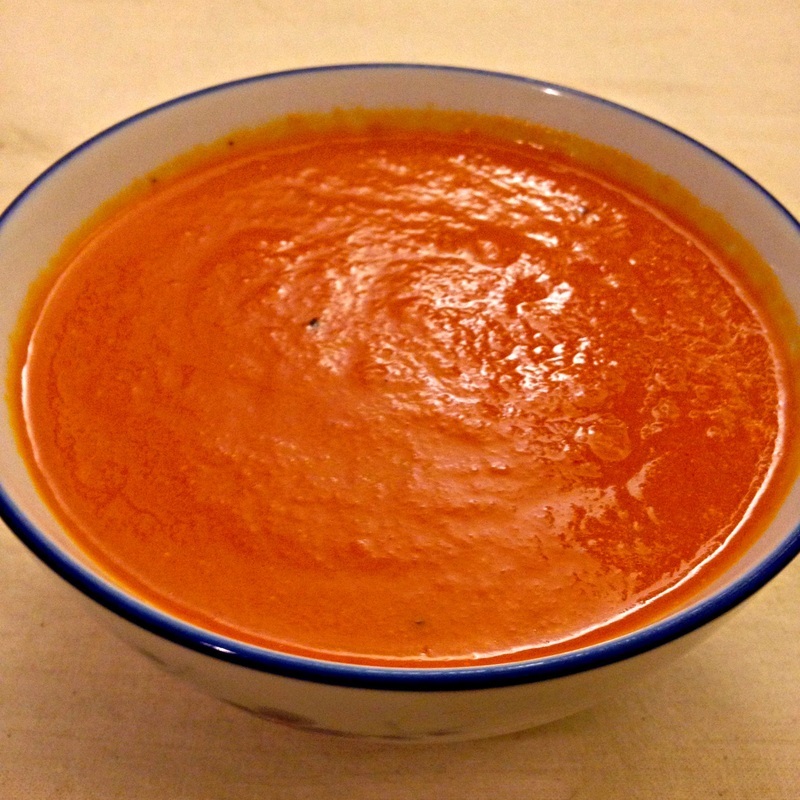 3) Stir in the tomatoes for a little bit until the soup is well mixed. When it is, scoop the mixture into a blender and blend until smooth before returning the soup to the pot. 4) When the soup mixture heats up, stir in the heavy cream and brown sugar. 5) Bring the soup to a boil before reducing the heat to a simmer and adding in the vegetable broth. 6) Stir until the soup is heated through and season with salt and pepper to taste. 1) Lightly butter one side of each bread. 2) Place the bread butter-side down on a grill pan over medium-high heat for about 2 minutes or until the bottom gets toasty. 3) Quickly butter the top of both bread slices and flip one of them over. 4) Place the cheese on that just flipped slice and place the other bread on top of it, toasted side down, so that the cheese is sandwiched between the already grilled sides of the bread and can melt into the breads. 5) After about another two minutes, flip the sandwich to grill the final side. 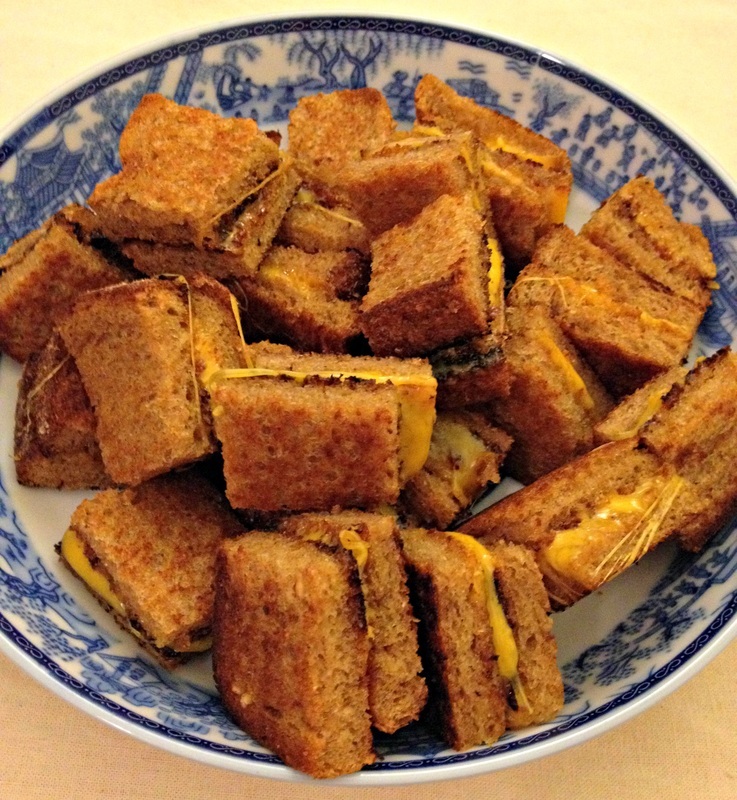 6) Cut into bite-sized squares for grilled cheese sandwich bites and serve with tomato soup!